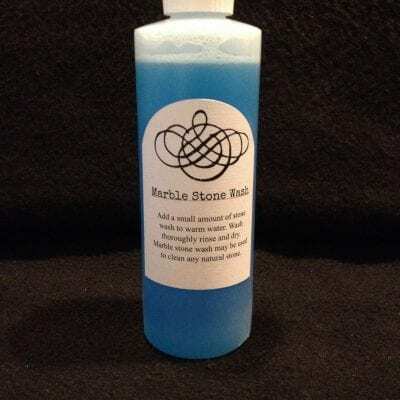 We only recommend using our Stone soap to clean your marble stones. Almost all soaps and cleaners contain a high ph level witch over time will deteriorate the marble causing pits and rough spots on the stone. This soap can also be used to clean basalt stone and all other natural stones.